That’s a 10″ f/6 homemade astronomical telescope that I built in 1992, and used mostly at dark, rural sites. 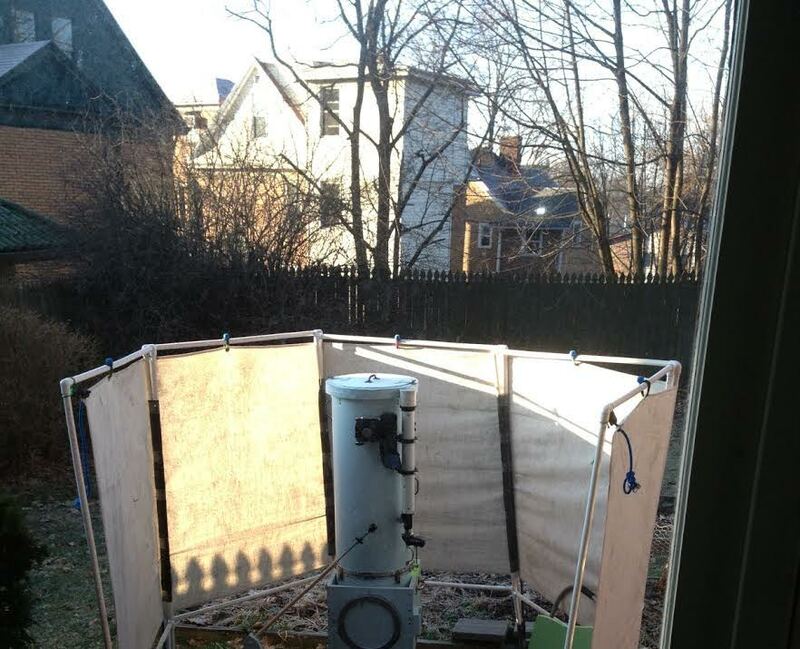 I am currently building a semi-permanent shelter here in my backyard (to replace the crude light-pollution shield you see in the picture) to use the telescope for a program of urban astronomy, which means astronomy under less than ideal, light polluted conditions. Note the small finder scope visible on the side of the tube. This is a 2″ department store refractor my parents bought me in 1958 which I decided to use as an auxiliary some years ago. It has gotten more use than my parents ever would have imagined. Interestingly, I submitted a view from this window some years ago (minus the telescope) that was published already in your book of window views, so this is the second time a view from THIS window has appeared on The Dish. Not bad for a nondescript urban backyard in western Pennsylvania, huh? It was the shadow of the picket fence that sealed today’s pick. Next Next post: Walmart Goes Granola?